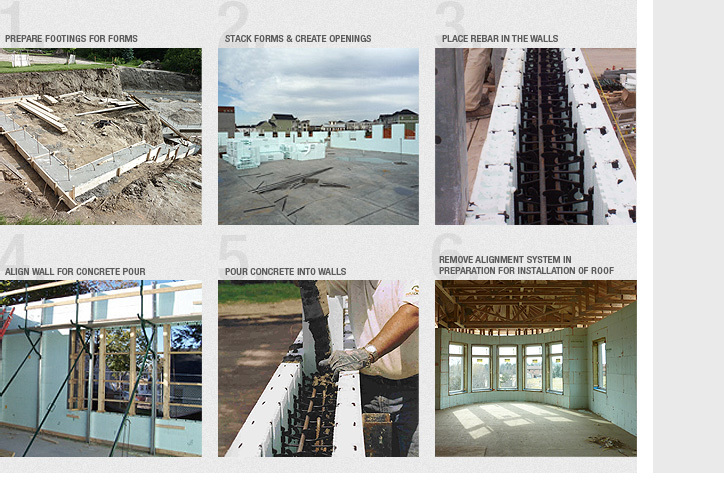 NUDURA Insulated Concrete Forms are easy to install and significantly reduce building time. Once installed, NUDURA ICF walls act as a vapour barrier, sound barrier, insulation and framing. Conventional building methods require each of these things to be completed in separate steps, but with NUDURA all of these steps are completed by using just ONE product. NUDURA Insulated Concrete Forms consist of 2 panels of expanded polystyrene (each 2 5/8” thick) connected with plastic webs. Your house walls are easily constructed by simply stacking the forms, reinforcing them with rebar and filling them with concrete. The result is a strong, energy efficient, fire resistant and sound resistant wall!